A love of books is important even before your kids can read. I hope to bring to you each month some new releases for the smallest ones in your family to enjoy. First published in 1985, this new board book edition of THE HUG revisits the story of one lonely hug. Feeling unneeded, the hug sets out to become something different. It uses its large round shape to turn itself into different things but maybe all the hug really needs is a little practice to remember how good it feels to give””and receive””hugs! 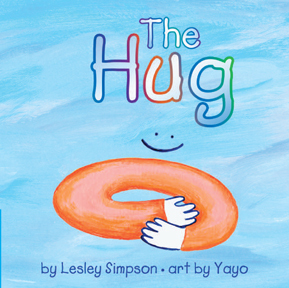 I found this to be a wonderful book about hugs, something you and your kids like to give and receive. Why not end the story by hugging some of your favourite people and things. 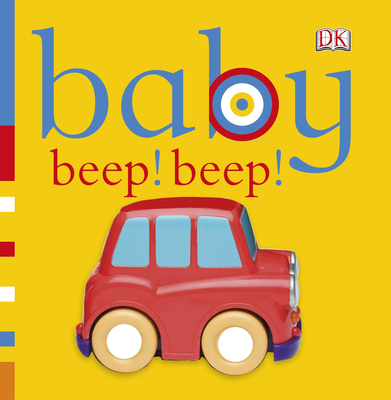 This chunky board book combines kids’ love of vehicles with lift the flap books. Each page contains a question pertaining to the picture ‘Who’s behind the brick wall?’, inviting kids to lift the flap and see. The images are all based on kids toys. Each page has a nubby tab that sticks out for little fingers to flip open. The pages are thick and sturdy for little hands. A great book for little ones to explore on their own or enjoy together sitting on mom or dad’s lap. 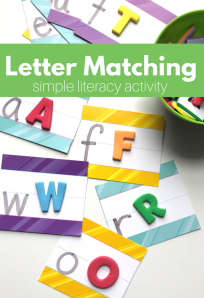 Kids will enjoy discovering common play items found in the park while flipping through this little chunky board book. Each page consists of one image with the word written below, great for building vocabulary. There are also a few descriptive words for each image: tricycle, pedal, pedal, pedel; kite, high in the sky. 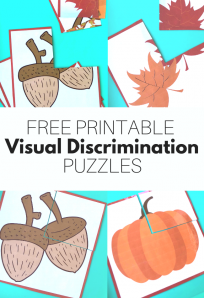 This board book also offers kids a sensory experience for the sight and touch, with sparkly details, fuzzy images, and other ways to connect kids with each item. Extend the experience by visiting your local park and seeing which of the items in the book you see in person. 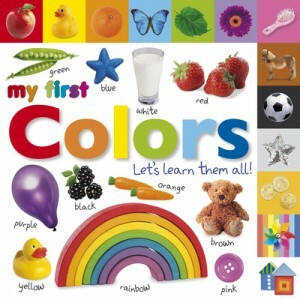 My First Colors: Let’s Learn Them All! Whether your child is just learning about colours or you’re looking for a way to reinforce them, My First Colours will make it fun. Each colour has it’s own tab that is illustrated not only by the colour but also by an item representing that colour: yellow is a rubber duck, green is a leaf. Kids can choose the colour they want to explore by flipping to corresponding tab. Each double page spread will fill a child’s eyes with a variety of things in that select colour. Some items are common, some not. The colour word is is written large in the top left-hand side of each page. 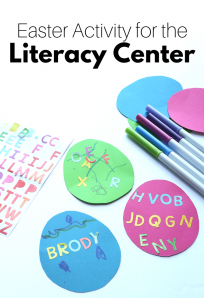 Each item on the page has it’s name written below, adding to your child’s vocabulary. The last page includes an I Spy page with a variety of different coloured images. Some spy questions are included: Can you see a spotted triangle? Or you can make up your own questions. Kids will enjoy searching and finding things on the page and throughout the book. I want to thank Chris from DK Canada and Joanne from Annick Press for my review copies.